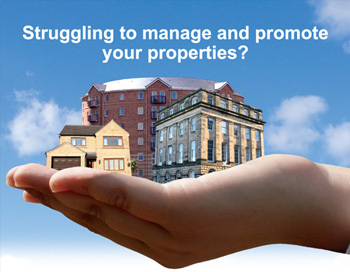 Property management in Bulgaria - let us manage your property.We can help you and manage your property in Bulgaria. "Our reputation tomorrow depends on quality service today". 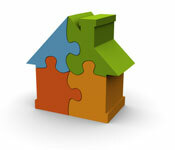 MSB Property Ltd. is specialized in management and maintenance of real estates in Bulgaria. There is a big difference between "managing" a property and really "caring" for it. Our company provides you with a complete property management and administration service to meet all your property care needs. No matter whether you need to manage, administer, rent, maintain or clean your property in Bulgaria , MSB Property Ltd. will be pleased to offer and provide you with any of these services, in order to save your time, efforts and money. In addition to basic home services, our company will arrange your transportation to and from the airport each time you visit Bulgaria. We also offer optional buying of goods from the market to greet you upon arrival. House cleaning, laundry, ironing and even linen service are only a few of the conveniences MSB Property Ltd. bring to your home. Our dedicated professionals, can also arrange childcare, bill paying services, insurance policies and - why not? - dinner parties. A resident team of handy men and women is a dream come true for the homeowner. Access to electricians, plumbers, air-conditioning technicians, builders and gardeners is just another part of the package. MSB Property Ltd. also offer home decoration services and offer to supervise renovations. Should any of the repairs get done in your absence you could follow up on the work with all detail information and relevant photos through your personal login web page. For our clients who are investing in "buy to let" properties, but have no time and are not able to run personally their rental property we can provide full service in exchange of a minimal remuneration. We will advertise the property, run reservations, meet guests and drive them to the apartment (or house), give and collect keys, accept payments. 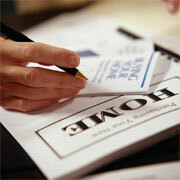 We will also pay your: annual municipal rates and taxes, bills for electricity, water, heating, telephone, insurances. In case of problems or damages we will provide professional people who will fix them, etc. The usual percentage that we charge is 20 % of the monthly rental income, for properties in top tourist destinations or big cities. In resent years Bulgaria has been promoted as a destination for rural and eco tourism. Many buyers of rural properties are now interested in renting out their village houses to visitors who want to spend their holiday in the nice and quiet countryside of Bulgaria. We offer the same package of services and the fee we charge is negotiable and depends on the rental income. MSB Property Ltd. offers telephone installation, cable TV, Internet, translation services and variety of other less standard services according to the individual needs and wishes of its clients. Why the CLIENT is contented? Because we satisfy his needs 100%!